Emily Bronte's first and only novel, Wuthering Heights, portrays the obsessive and vengeful love story between Heathcliff and Catherine. Images of cruelty and passion with an incorporation of gothic supernatural elements set the dark and misty atmosphere present throughout the novel. Moving between two neighboring houses, Wuthering Heights and Thrushcross Grange, the wild love story turned destructive obsession is narrated by Mr. Lockwood through his diary entries. 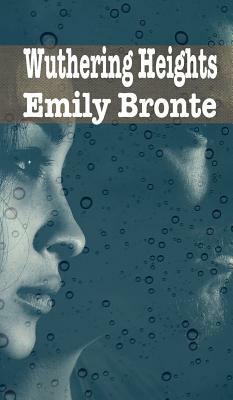 Bronte sets the novel into motion with the arrival of Mr. Lockwood at the house of his grim landlord Heathcliff. The strange and unfriendly manner in which his landlord behaves and his lack of effort to appear otherwise, sparks a flame of curiosity in Lockwood to learn more about the mysterious Wuthering Heights. After nature forces him to spend a night in the house, his eerie experience during the night only further ignites his curiosity to learn more about its past. When he settles into Thrushcross Grange he asks Nelly the housekeeper to tell him more about Wuthering Heights and its residents. Nelly then recounts events leading to Heathcliff's current bitter state, beginning with his childhood when he was brought in by Mr. Earnshaw, owner of the Wuthering Heights manor. As the young dark-skinned Heathcliff tries to fit in with the family, everyone grows to like him except for Mr. Earnshaw's son Hindley, who is jealous of the affection Heathcliff receives from his father. His sister Catherine, however, becomes inseparable with the youngster and the two share many adventures together on the moors and a mutual affection is born. As future events unfold, Catherine chooses to marry Edgar Linton, who lives in the nearby Thrushcross Grange, and leaves Heathcliff heartbroken. Hurled into a world of revenge, Heathcliff extends his mission of vengeance to their innocent children years later as they face lurking resentment and animosity.